I have appreciated all the information on the Oaks Colliery Explosion. It was my 2 times great-grandfather who died on the 12th. He was John Hellewell, age 26, husband of Aminda Hinchliffe and the father to a three year old boy, also named John. Aminda remarried and came to the United States. Spelling of our name has been misspelled as Helliwell and Halliwell. His death certificate has it accurately as Hellewell and his death from the explosion. I hope that this correction can be made. In seeing the list, I am now wondering if Samual Helliwell is in fact John’s younger brother who was 20 years old as he was born on the 29th of December, 1845 and listed as a Collier, and Thomas Hellewell, born in 1851 he died at the age of 15, and was a Hurrier. 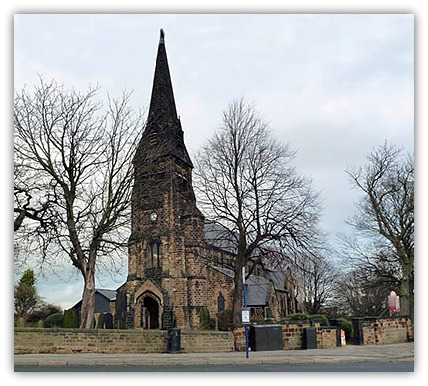 Both Thomas and Samuel are buried at St. Paul, Monk Bretton. There is no known burial site for my two times great-grandfather, John. What a tragedy for the families and the community. Thank you to the volunteers and community for memorializing the 150th year. John Hellewell was born abt 1841 at Paddock, Yorkshire, England. 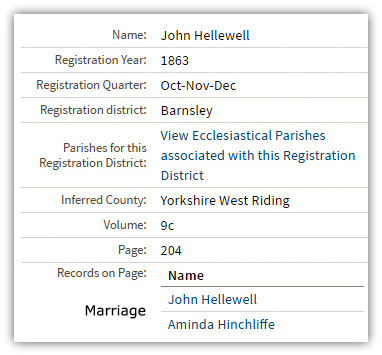 He married Aminda Hinchcliffe (born Jan 7, 1845 in Darton, All Saints, Yorkshire, England) in 1863. They had a son John, 9 Nov 1863 in Royston, Yorkshire, he was 3 years old when his father died. 3 years after the death of her husband, Aminda marriage Jacob Hesketh, they went to America 10 Oct 1871. Aminda's son also went to America with them and eventually married Sarah Stott. In 1930 John, aged 66, was a Property man, he died 21 Feb 1944 in Philipsburg, Center, Pennsylvania, USA. In 1880 Jacob and Aminda were living in Osceola Mills, Clearfield, Pennsylvania, Jacob was a miner.